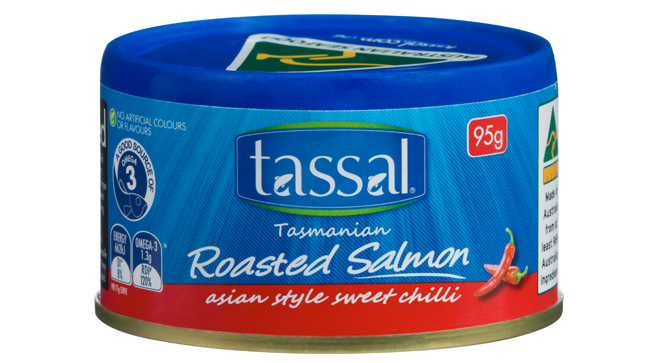 Tassal Roasted salmon is a rich and smoky flavour sensation, created using a cooking technique where the salmon is Roasted at high temperatures before being canned. Tassal Roasted salmon has a moist texture, is extremely versatile and is a delicious addition to any pasta, risotto, sandwich or salad. # Based on the National Heart Foundation of Australia’s recommended adult consumption.